Each 6” letter slides onto 1/2” wooden dowel. 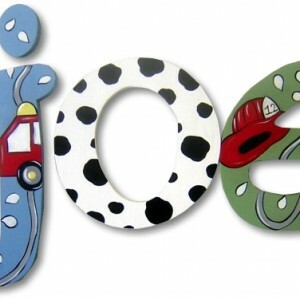 Letters are crafted 1” thick MDF and then painted to match ANY theme you desire. 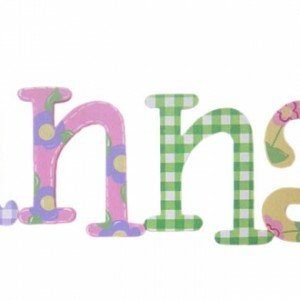 You can spell out your child’s name for the bedroom or the words “bath”, “let’s play!” etc. to add some fun to the bath and playroom. 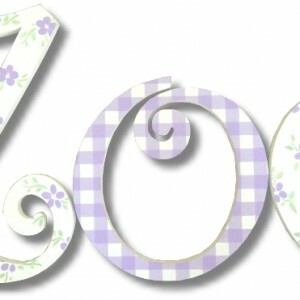 Please let us know if you have something special in mind for the designing of your letters. We welcome swatches as well as links so that we may match your theme as closely as possible or see our designs to the left for more ideas. Prices displayed are PER LETTER. Remember to update the quantity box after you click Add To Cart to reflect the letters in the name or word you are purchasing. For example, for the name Jimmy, a quantity of 5 should be entered when placing your order.